BellacorPro is an online retailer of lighting and home furnishings to the design/build professional. 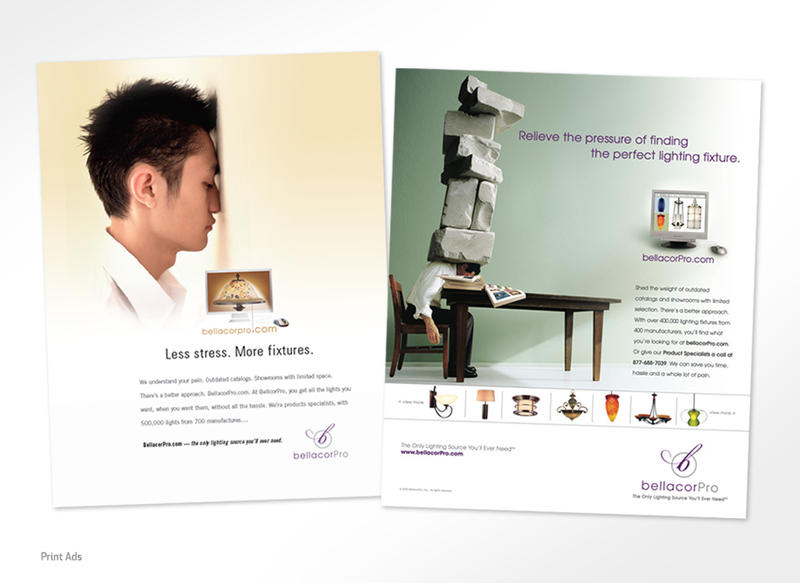 BelacorPro invited us to produce an advertising campaign that communicated how BellacorPro’s website can help alleviate much of the stress related to sourcing lighting and home furnishing solutions. BellacorPro’s website features over 500,000 lights from over 700 manufacturers.